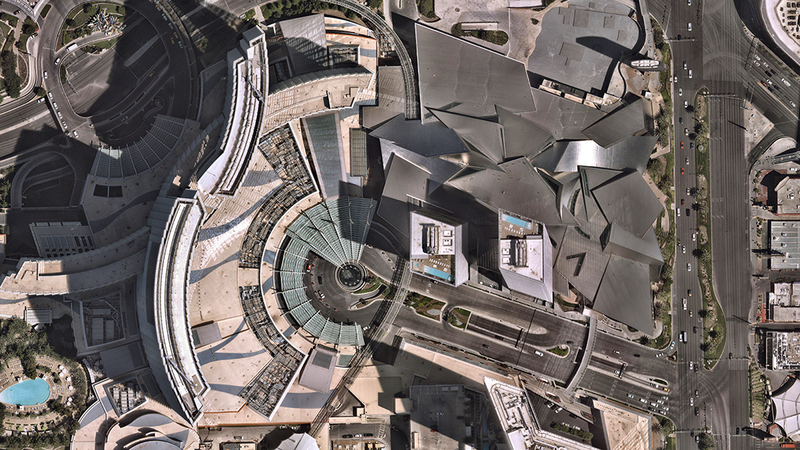 With high-resolution imagery comes the ability to model reality, creating real-life visualizations for engineers, planners, construction teams and many others. A quantum leap in computing capacity has allowed us to model and analyze the real world — all from our desktop and mobile devices. In days past, maps were purely for visualization and direction. Today, they have graduated to full-blown analytics platforms empowering users to make decisions faster than ever before. They closely represent truth on the ground — truth created from high-resolution aerial imagery captured at heights of up to 18,000 feet. Camera systems mounted in the bellies of planes can efficiently map the real world in incredible high detail. These aerial photographs are updated continuously. 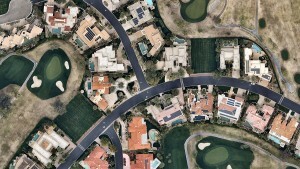 In years past, access to aerial mapping content and services was reserved for more significant players. Today, with easy access to scalable high-definition mapping content, anyone can utilize the power of maps in applications that extend far beyond directions and navigation. 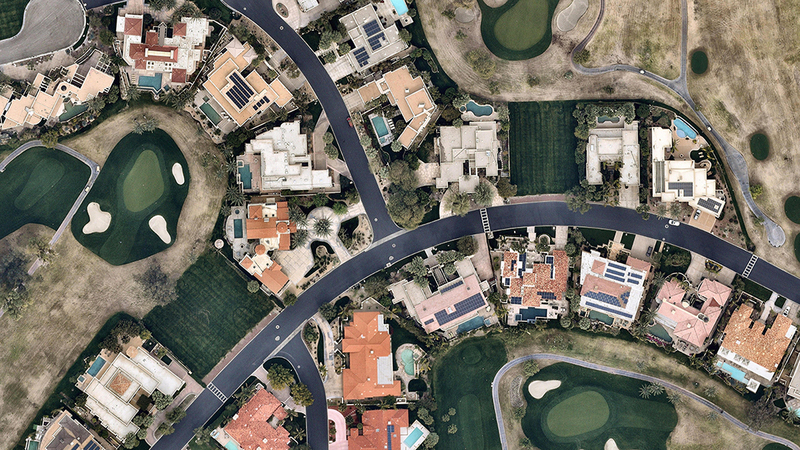 There are two essential attributes of aerial maps driving this transformation — image resolution and model density. Today, most users are applying low-resolution satellite images that lack the detail needed for accurate decisions. But, as resolution increases, the imagery becomes more detailed; the visualizations, more vivid. 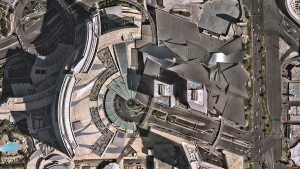 Ground features have gone from fuzzy satellite photos to clearly identifiable homes, buildings, roads, lakes and more — all captured using powerful cameras that have found the perfect pixel. With high-resolution comes added benefit. Users can manipulate the imagery — zoom closer and closer without losing the details. Computers can classify the features, distinguishing skylights from solar panels, walking paths from sidewalks, and pools from ponds. Rich imagery is yielding richer data used to instantly query massive databases and return results that answer complex questions for businesses and government. With high-resolution imagery comes the ability to model reality, creating real-life visualizations for engineers, planners, construction teams and others. These models of landscapes, cities and neighborhoods are portrayed inside design tools and mapping systems, saving the analyst countless days of traveling to the site only to be surprised that the outdated low-resolution imagery does not depict what’s actually on the ground. Imagery can vary greatly in resolution. Pixel resolution refers to the actual distance on the ground that each pixel represents in the orthophotography — the vertical image. For example, one-foot pixel resolution means that each pixel in the image covers one foot on the ground. Common resolutions include three-inch, six-inch, one-foot and one-meter. The higher the imagery resolution (for instance, three inches per pixel), the greater the visible detail within the photograph. Clearly, a three-inch resolution is much better than a one-foot resolution. Most mapping content currently consumed is two-dimensional and generated from low to mid-resolution nadir imagery. In other words, you see the land as if you were staring straight down at it, not height-of-ground features and certainly not change over time. While that was adequate for some users, others reached for higher resolution and, while they were at it, decided they needed a third and fourth dimension — namely, height and time. These new perspectives provide more analytical options, more insights and a variety of new use cases that show change over time, height and multi-perspectives of the same property or landscape. With the democratization of mapping products and services and the general trend toward consumption of multi-dimensional experiences, there is an implicit need to increase resolution, detail, dimensions and perspectives in mapping content and services as well. Traditionally, satellite imagery has been used to monitor large areas of the earth at scale remotely. The resolution of the satellite imagery has graduated from multiple meters to feet with the advent of advanced mapping satellites. The challenge here is the resolution. Low-resolution satellite imagery, although scalable, is good for macro-analysis of cities and neighborhoods but is not detailed enough for accurate measurements and micro-analysis at the level of each individual property. On the other end of the spectrum come drone mapping solutions that offer the promise of delivering incredibly high-resolution datasets (sub-centimeter resolution) but fails to provide the scalability and repeatability. Let’s get specific. Why does resolution matter? You cannot measure what you cannot see. The resolution of imagery provides a more detailed, zoomed in and richer view of the real world, thereby enabling desktop based reconnaissance, inspection, analysis and measurement of features that are not traditionally visible in satellite imagery. Higher resolution means high fidelity and dependable measurements. With the added details and definition of features that high-resolution offers comes the much-needed advantage of clearly and legibly identifying feature boundaries and hence measuring the feature with high precision and accuracy. Higher resolution map content means fewer site visits. Rather than travel onsite to inspect and measure, many organizations are now relying on high-resolution imagery and, in the process, not having to waste resources sending team members on site. High resolution means more detailed documentation of reality. Gamers have experienced reality-like landscapes for quite some time. Now, 3D and 4D mapping content allows users to immerse themselves in the landscape, navigate through street views, and fly like a bird to inspect rooftops with ease. High resolution and refreshed content means more accurate change analysis. Identifying how locations have changed over time through multiple captures that embody leaf-off and leaf-on imagery allow users to not only visualize detail but also notice progress, changes in construction, degradation of property features, growth in vegetation and more. High-resolution content means more automated workflows. High-resolution content allows for better feature definition models resulting in higher success rates in interpreting and analyzing the reality algorithmically. Higher success rates of automated algorithms results in efficient exploitation of datasets to solve real world problems. Machine learning thrives on high-resolution content. There’s no shortage of news on the use of machine learning and artificial intelligence in data science. With the advent of high-resolution maps, machine learning is now able to differentiate skylights from solar panels, decks from patios and pavement from pavers. In turn, the ground features identified are being stored in databases for lightning fast queries to complex problems. The higher the resolution, the higher your confidence will be.